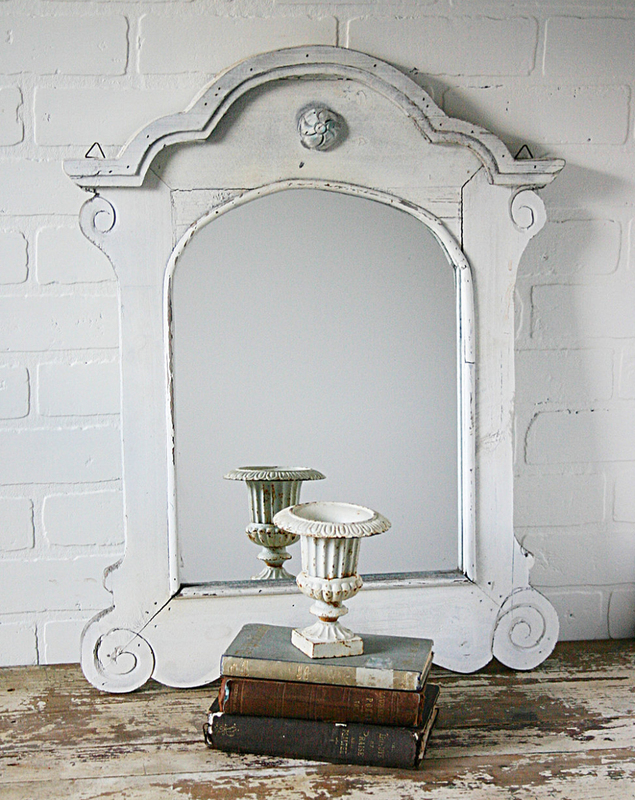 Beautiful vintage wall mirror with old white paint. Perfect for any room of your country cottage. I believe it is made from pine and features hand carved details. The old white paint has cracked and peeled with age lending some wonderful character to this great cottage style mirror. The mirrored glass is a replacement as the original piece was broken when I found it. 15 1/2" tall by 11 5/8" wide. For more great vintage home decor, visit my Etsy shop at the following link.